My name is Becky Shaheen and I am a parent at Becker Elementary (and former teacher/school counselor in AISD). 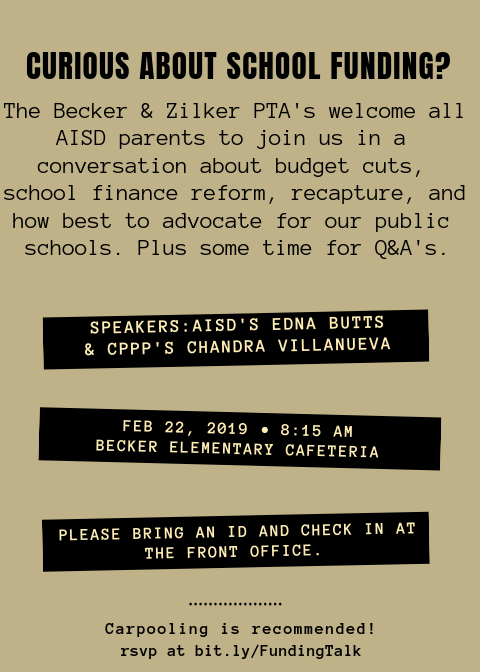 I’m working with parents at Zilker Elementary to pull our local schools together to discuss budgets cuts, state funding, recapture, and everything else that has to do with school finance advocacy. Thanks for your help in spreading the word! Help Clean Up Our School’s Creek!